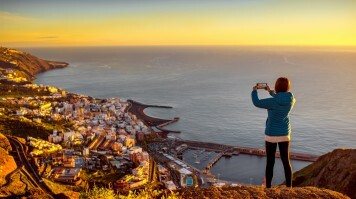 Spain’s Canary Islands, particularly Tenerife and Gran Canaria, are a popular and long-established holiday destination. However, this archipelago of seven main islands, along with a number of smaller islands and islets, has far more to offer than just sun loungers, bars and restaurants. 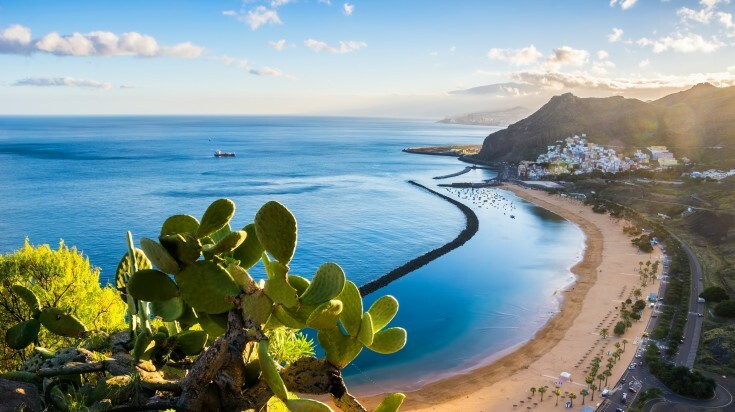 Each of the main islands is distinct from the others, so here’s a guide to everything you need to know to choose the best Canary Island for you. The Canary Islands are located in the Atlantic Ocean, west of North Africa. Lanzarote, the easternmost island, lies only about 100km from the Moroccan coast. The islands are an autonomous community of Spain and can be reached from the mainland by plane. 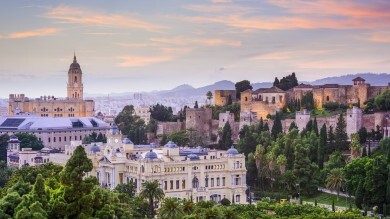 Flights take around three hours from Madrid and three and a half from Barcelona. Flights from London and Berlin take around four and a half and five hours respectively. The Canaries consist of seven main islands. Of these, in order of number of visitors, Tenerife, Gran Canaria, Lanzarote and Fuerteventura are the most popular. The islands of La Palma, La Gomera and El Hierro receive significantly fewer tourists, with annual visitors numbering in the low hundreds of thousands rather than the millions. One of the most popular package holiday destinations for Brits and Germans, the centre of this island is dominated by Mt. Teide, the third tallest volcano in the world as measured from the sea floor. Tenerife’s beaches are the main reason people visit the island. Explore Mt. Teide National Park. Whale and dolphin spotting, big game fishing, water sports and many more are some of the major activities in the island. Tenerife has excellent tourist infrastructure, accommodation options, facilities, transfers, etc. With nearly six million visitors annually, Tenerife is not the place for a tranquil getaway. Don’t expect to find much authentic Canarian culture anywhere near the main tourist drags. Tenerife is a destination for anyone looking for a classic beach holiday, whether families, couples or groups looking to party. There are accommodation options for all tastes, there is plenty to keep everyone occupied and the national park provides an obvious day trip if you grow bored of lazing in the sun. The most famous resorts are Playa de las Americas and Los Cristianos. Both have a wide selection of hotel accommodation and decent beaches. Of the two, Playa de las Americas has the livelier nightlife. Similar in many respects to Tenerife — indeed, a strong rivalry exists between the two islands —Gran Canaria is slightly smaller and receives slightly fewer visitors, but some believe it to be a more discerning choice. 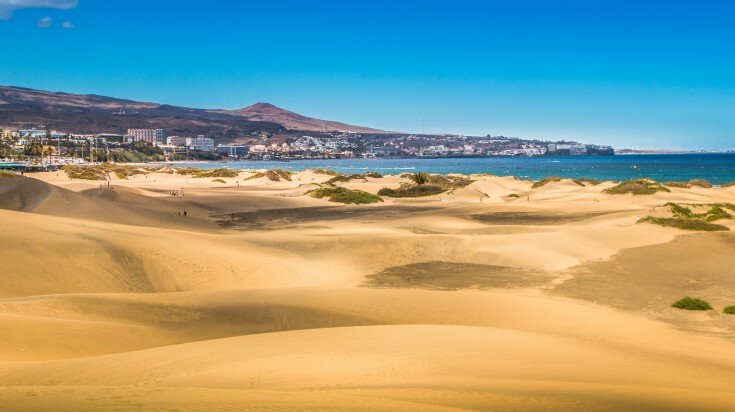 The otherworldly dunes of Maspalomas also made the shortlist for the ‘12 Treasures of Spain’. The beaches of Gran Canaria are generally considered superior to those on Tenerife. Gran Canaria is known as a place to party and arguably offers a better night out than the rest of the islands. Another victim of its success, the island often seems overcrowded. Like Tenerife, Gran Canaria has a reputation as a major mass-tourism destination. Gran Canaria, like Tenerife, is a destination for anyone looking for a beach holiday. There are resorts suited to families, places that will appeal to couples and plenty going on after the sun goes down to please those who want to go out to party. Maspalomas is also a popular destination for the LGBT community. 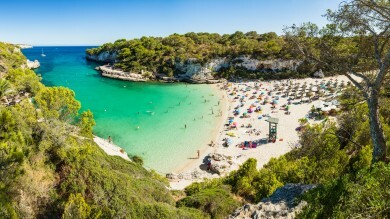 Playa del Inglés is the most famous place to stay if you like to party. Puerto Rico has a good beach and plenty of accommodation and eating choices, making it a good option for families. Famous for its arid, desert-like landscapes, Lanzarote does not receive the number of tourists of either Tenerife or Gran Canaria. With a smaller local population, it offers a much less frenetic holiday destination and more room to breathe. Lanzarote’s desolate, volcanic scenery is among the most striking in the Canaries. Less visited than Tenerife or Gran Canaria and more sparsely populated. Visit Timanfaya National Park to take in and learn about the island’s volcanic landscape. Increasingly a destination for hiking, cycling, surfing, kitesurfing, windsurfing and more. For some, the landscape may appear too dry and devoid of life. 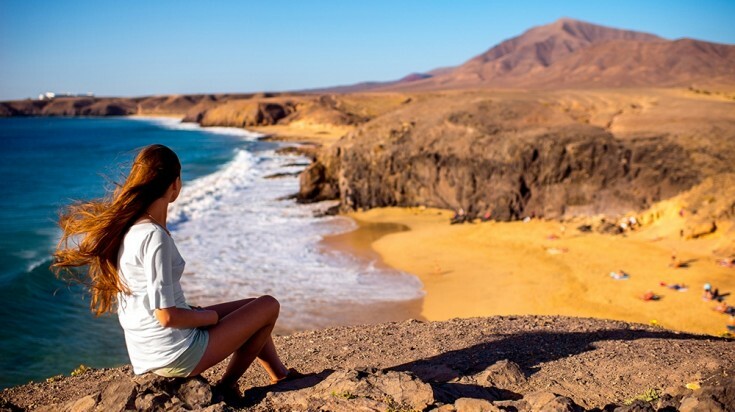 Lanzarote can cater to all kinds of traveler, including couples, families and more active types. While nightlife exists, Lanzarote will appeal more to those in search of a laidback, downbeat style of holiday. Puerto del Carmen was Lanzarote’s original resort and is the place to head for those looking for a lively vibe. Playa Blanca in the south of the island is good for people who prefer more upmarket resorts. The second largest island in the Canaries, after Tenerife, Fuerteventura is home to some of the most beautiful beaches in Europe. Miles of sandy beaches, surrounded by pristine waters, and the interesting landscape of the rest of the island, makes this a winner with holiday-goers. A stunning island of graceful cliffs, uncrowded beaches and turquoise seas. The least visited of the ‘big four’ — you will have a much more relaxing, peaceful holiday. This island has much to discover when exploring independently in a rented car, making it perfect for solo travellers. The winds for which the island was named make it popular with windsurfers and kitesurfers. Less tourist infrastructure and resorts that can be less appealing for many. Strong winds make the beaches less attractive for sunbathing and swimming. 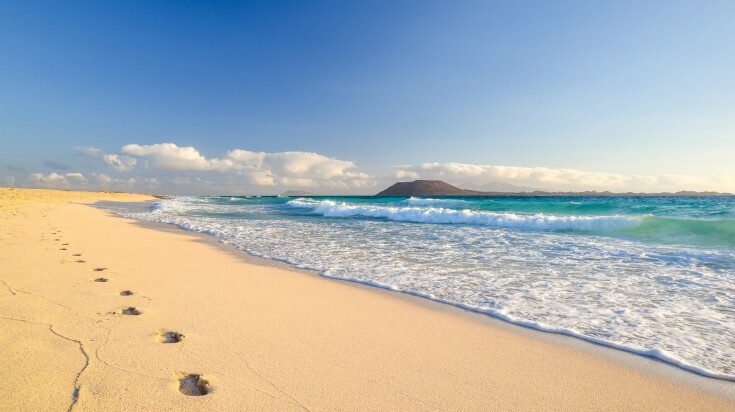 Fuerteventura is best for adventurous travelers or those trying to escape the crowds. If you enjoy branching off from the beaten track or taking part in water sports, it is ideal. It might prove less suitable for families since there are fewer activities to keep children occupied. Costa Calma in the south of the island is a good choice for fans of water sports. Corralejo in the north of Fuerteventura is the most popular resort on the island and is the place to head if you want the best choice of facilities. These three smaller and lesser visited islands lie at the western end of the archipelago. While they are all different and each has its own character, they differ from the larger islands in that they are not beach holiday destinations. Rather, they all boast wonderful opportunities for outdoor activities; in particular, these islands are playgrounds for hiking enthusiasts. Of the three, La Palma is the most populous and has the most sophisticated towns. It is often referred to as La Isla Bonita, meaning ‘the pretty isle’, and is regarded as the most beautiful of the Canaries. La Gomera is known for its wild scenery and difficult terrain, so much so that the people there developed a special whistled language known as el silbo that allows them to communicate across the valleys. Mysterious El Hierro was once thought to be the world’s westernmost point of land, and it still retains an edge-of-the-world feel. It is sparsely populated, and even the capital is no more than a village. Visit La Palma’s old towns for a glimpse of the Canaries as they once were. Explore Caldera de Taburiente National Park, La Palma, a UNESCO Biosphere Reserve. 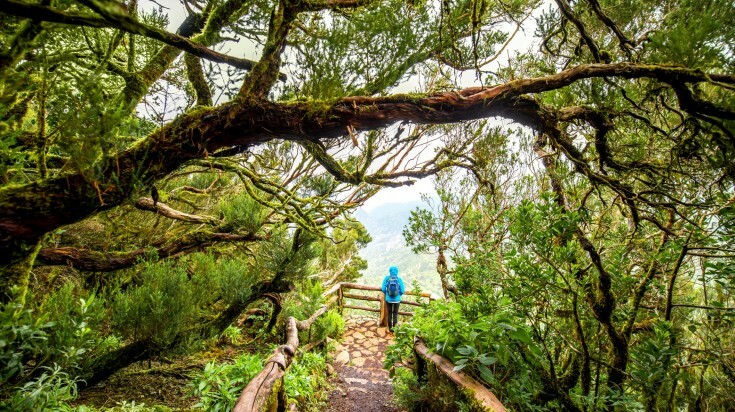 Hike through the world’s largest existing laurisilva rainforest in the UNESCO-listed Garajonay National Park in La Gomera. Dive off at El Hierro, possibly the best diving spot in the whole of Spain. All three islands are perfect for hikers, with many well-marked and rewarding trails. The islands are probably not suitable for people looking for beach holidays. No flights to La Gomera or El Hierro from mainland Europe. Arrival is either by plane or ferry from other islands. These islands are for those looking for somewhere original and off the beaten track. While each island has its own charms, what they have in common is the fact that they are far less commonly visited and have no big resorts. They are a good choice for nature lovers, hikers and those interested in rural tourism. They are less suitable for families and not at all for people looking to party. The intriguing historical capital of La Palma is Santa Cruz de la Palma, a good place to start your exploration of this island. San Sebastián de La Gomera, the capital of La Gomera, is where ferries from Tenerife arrive, but the main tourist area is Valle Gran Rey. El Hierro’s capital is Valverde, a small village that makes for a pleasant place to stay. Although there are variations in the Canary Islands weather, the best times to visit are generally March – May (spring) and September – November (autumn). These are the times of year that see the lowest numbers of visitors and when the weather is pleasantly warm. From December to February, the main islands are busy, temperatures may not be warm enough for winter sunbathing and rainfall is at its highest. Summer (July – August) is peak season and tourist numbers are at their highest. Temperatures are sometimes uncomfortably hot, but rainfall is extremely rare. The four major tourist islands of the Canaries along with their three lesser-known neighbours each has its own character and appeal. On these islands can be found everything from beach holidays, water sports, nature, imposing volcanic landscapes and steaming subtropical forests. With such variation in just seven Atlantic islands, there really is something for everyone.